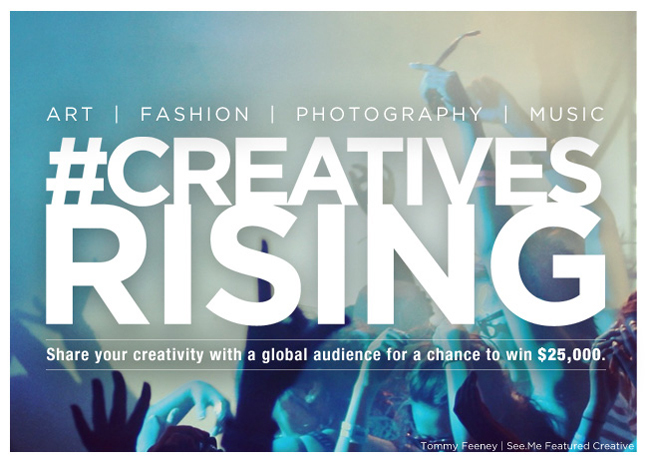 Creatives Rising | Get Votes for a Feature! Share your profile with friends, family and fans to vote your page to the top and have your work shown in New York City this Fall. It’s that easy. You and your fans determine who wins.